I love it when my clients reach new milestones, whether it be running 3 miles without stopping or running their first 16-mile training run. It is amazing to find out what our bodies can do with each extra mile or two we add on to our longest run ever. They get to that point that they had doubted just weeks before. You feel so exhausted at the end of a long run, that you are not sure how in the world you will be able to make it even longer the next time around! I have always felt tired at the end of a marathon. I never imagined going beyond the 26.2 miles because I didn’t see any reason to do anything quite that crazy. 26.2 miles seemed crazy enough. Yet, you hit the mark so many times that you aren’t sure what you should be doing next to keep yourself challenged. Don’t get me wrong, a marathon is always challenging but sometimes I would find myself wondering whether or not I could push myself farther. Then I took on a client who had a goal to run 100 miles. I have done my best to guide her, but I know that the most meaningful advice can come from personal experience. 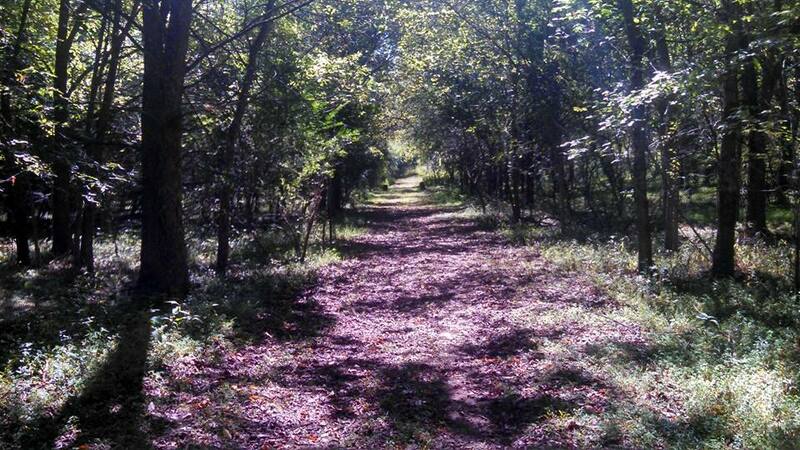 However, I am not ready to run 100 miles just yet, so I am focused on the JFK 50-mile run in November. In preparation, I signed up for a 50k (31 miles). That 50k came and went like any other training run. When I woke up that morning, I only thought of it as another day of training for the 50. It’s good not to hold high expectations when you have to keep yourself intact for the main event. My most recent run two weeks prior had been 24 miles so 31 wasn’t too much out of the way. I tried to be excited about the fact that I was running my first official “ultra” but it was hard to know how running 31 miles was going to be any different from running 26.2 miles. Well, to start with, it is done at a much slower pace. Not only are most ultras on trails with hills, but you just have to slow down or else you will collapse before you can make it to the finish. Only crazy elite runners who do ultras for a living can actually run an entire ultra. If you aren’t spending time walking, then you aren’t doing it right and you might as well throw in the towel. As I hit the ground running (literally) I knew what my pace needed to be and what it would probably end up being. I hit my goal right on for the first two 10-mile loops, but then it significantly dropped from there. No matter what you try to do, you can’t keep yourself from slowing down. It’s possible that if you are smart enough and patient enough to take scheduled walk breaks right from the starting line, then you might be able to find some consistency. Yet, I tend to power out and then burn out. At that point, it doesn’t matter how much you try to eat. I ate religiously, but still slowed down. I ingested pretzels, gels, a peanut butter and jelly sandwich, a granola bar, m&m’s, starburst, Gatorade, ginger ale, a banana, banana chips and potato chips (hey, I did run through lunch), but I still drained the energy tank dry. Surprisingly, I never got sick from eating and drinking all of that so I must have been on the right track. However, I started to get tired of eating right around mile 27. It makes me wonder how I will keep eating during the 50. I know that 5 hours and 53 minutes seems like a very long time, but it actually moved along quite quickly. You probably wonder what someone would think about for so long? Well, at first I was annoyed by so many people talking during the first 10-mile loop, but that quickly dissipated during the second loop and I was often left running alone. At certain points along the trail I would have to pay very close attention to the green tape on the trees marking the trail. I was determined not to make a wrong turn. During the first loop, I wanted to make sure I knew the trail very well because I wasn’t sure if I would be able to see the tape during my third loop when I might be running in a foggy haze (kind of like a drunken stooper). So, not getting lost kept me occupied for the most part. Competition also kept me in the game. I would find a runner and spend about 5 miles trying to pass him or her. At other times, I would mutter obscenities when a runner chose to tailgate me for 5 miles. If I finally made the attempt to pass, then I had to engage my fast-twitch fibers to stay well ahead and not fall victim to the dreaded re-pass. By the time the third loop came around, I was a bit on edge. Then, it must have been my lucky day because a huge black snake slithered right in front of me and I screamed at the top of my lungs. No one heard me. I might as well have been out in the middle of the jungle. I was in fear for the next 3 miles as I ran through the cornfields, but then I could have cared less if a snake tried to bite me or even if a bear came bursting through the trees. When I heard rustling in the bushes, I would imagine myself screaming at a bear who made the mistake of getting in my way “Hey Bear! You better move the F*** out of my way or else I will kick your A**!” Yes, I was thinking happy thoughts at around mile 25. My run started to turn into a shuffle. I still managed to run the flats and keep the uphills at a decent hiker pace. The downhills were dreadful. I thought my legs were going to give out. A couple of times I nearly ate dirt (or rock) and I only imagined what would have become of me if I didn’t catch myself. One of those times I would have been sprawled out on the bridge. It wasn’t enough to hear BOTH of the runners behind me eat dirt within 2 minutes of each other. As the guy approached me from behind, I clearly stepped off to the side and let him pass. “Thank you” he said. No, thank you buddy for getting very far away from me so you don’t knock me down. It’s funny how your legs stop working properly right around mile 28. They seem to scuff every patch of earth and kick up every rock. Something did happen at around mile 29. I think I was either tired of running for hours or maybe I did have some kind of runner’s high. I kicked up the pace (by a few milliseconds I’m sure, even though it felt like I was running 2 min/mile faster). It’s funny how you can tell your mind you are going faster when you are still just moving like a snail. Whatever makes you feel good, right? 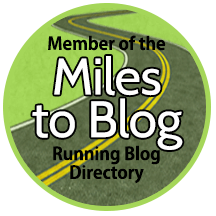 This entry was posted in Running Experiences and tagged 50k run, Belmead 50k, Belmead Trail Fest, first 50k, JFK 50 Mile, running, ultra running, ultramarathon.